All communication over the Avid Platform must be performed in non-blocking, asynchronous way. 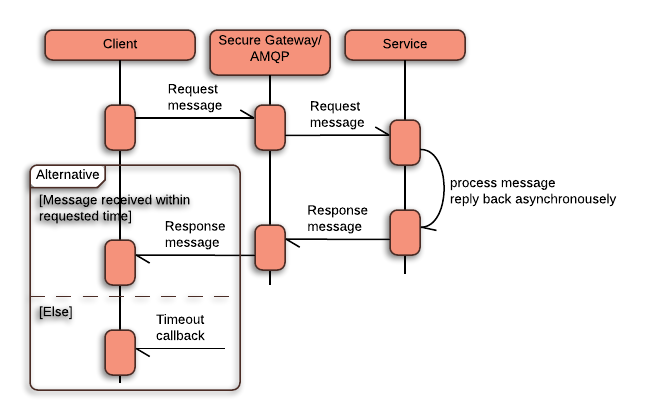 For this purpose AMQP protocol is used. Avid Connector API provides abstraction layer to develop micro-services for the Avid Platform, so service developers can concentrate on the business logic of the services. 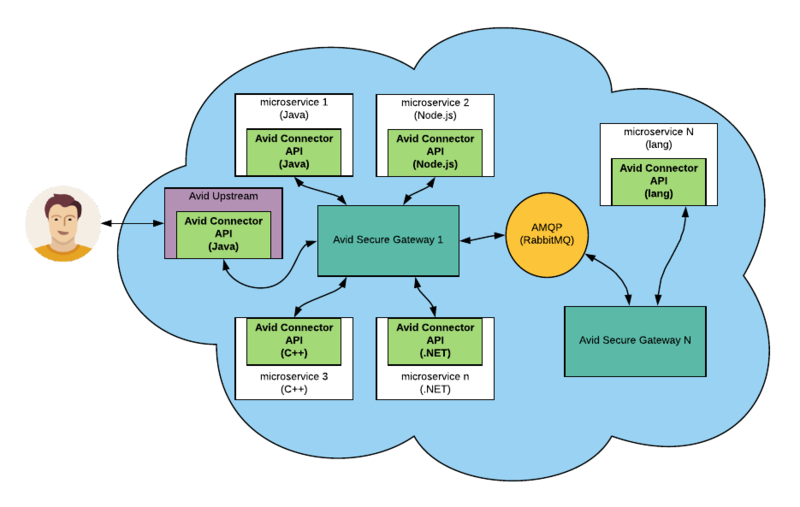 Communication between Avid Connector API and Secure Gateway is using websockets with Google Protobuf payload. Client should use query operation to send request to target service and receive response back. When sending request, timeout is provided for waiting for response. By default it is 10 sec. Client will receive response if success, timeout if response wasn't received within requested time or error if error occurred. Client should use send operation to send request to target service without receiving response. This operation can be used when client doesn't care about operation response. Client should use broadcast operation to send request to all available instances of the same service without receiving response. This operation can be used when client doesn't care about operation response. Subscriber may subscribe to receive messages from given channel, by specific subject. Subject may have wildcards "*(star), #(hash)". 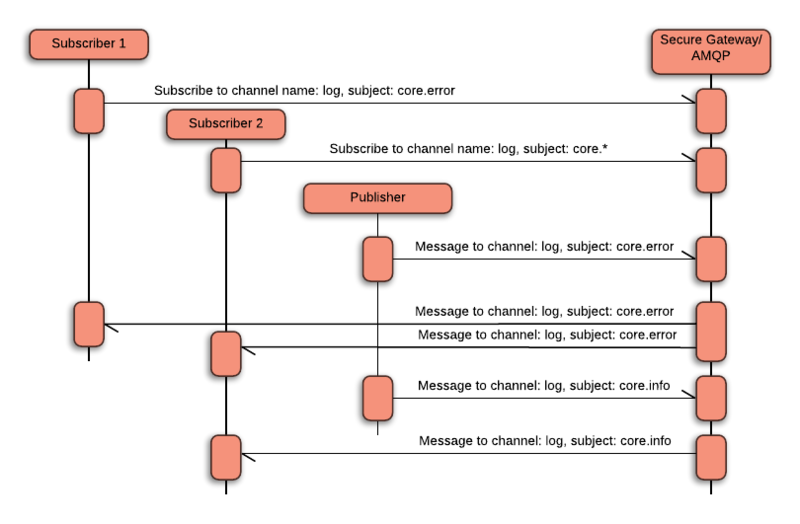 When message is published, all subscriber which are subscribed to matching channel and subject receive this message. To receive all messages from given channel "# (hash)" must be used as a subject. If multiple subscribers want to receive messages in round robin way (one at a time), then shared name must be provided. In this case when message is published, only one subscriber among subscriber with the same shared name will receive message in a time. 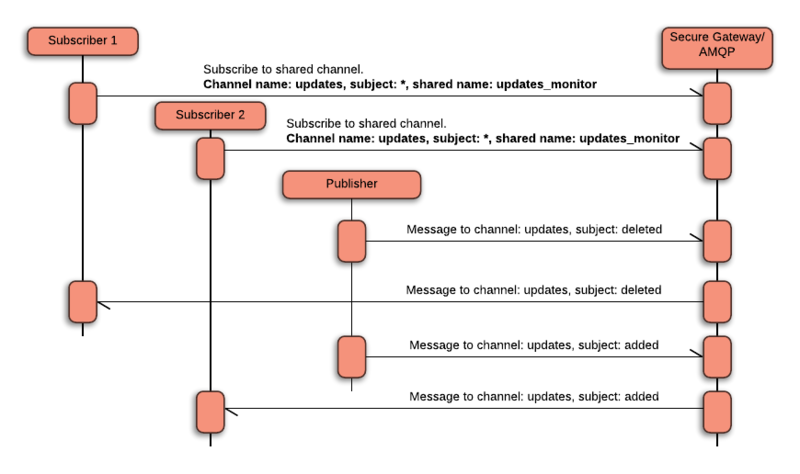 Use case of this pattern, for example, when multiple instances of the same service are running, and application must perform database updates on receiving notifications, only one in a time should receive message and write to database.